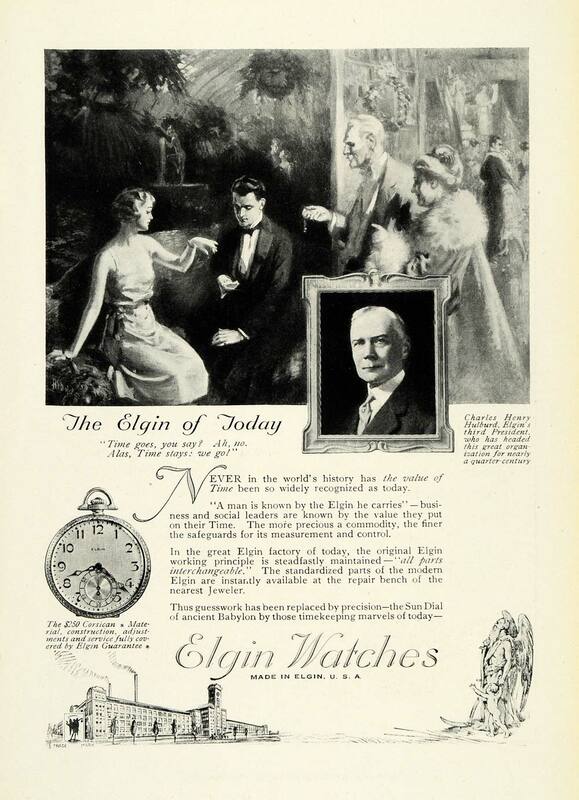 In the Elgin factory of today, the original Elgin working principle is steadfastly maintained - "all parts interchangeable." 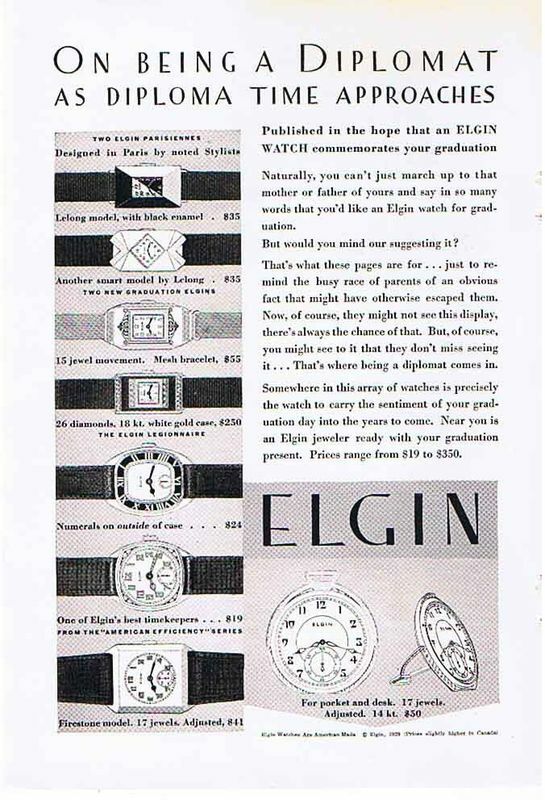 The standardized parts of the modern Elgin are instantly available at the repair bench of the nearest jeweler. 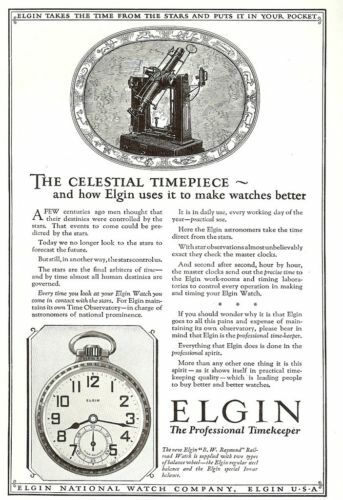 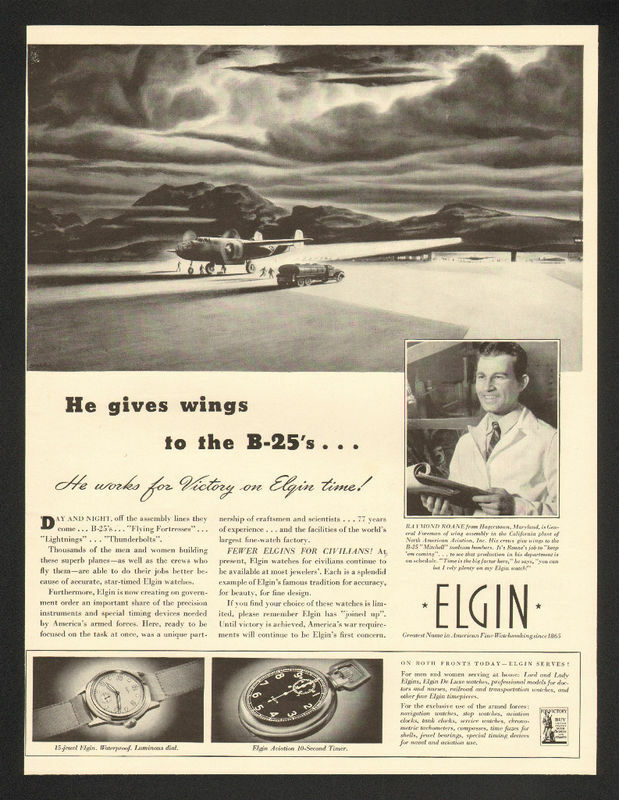 The Celestial Timepiece - and how Elgin uses it to make watches better. 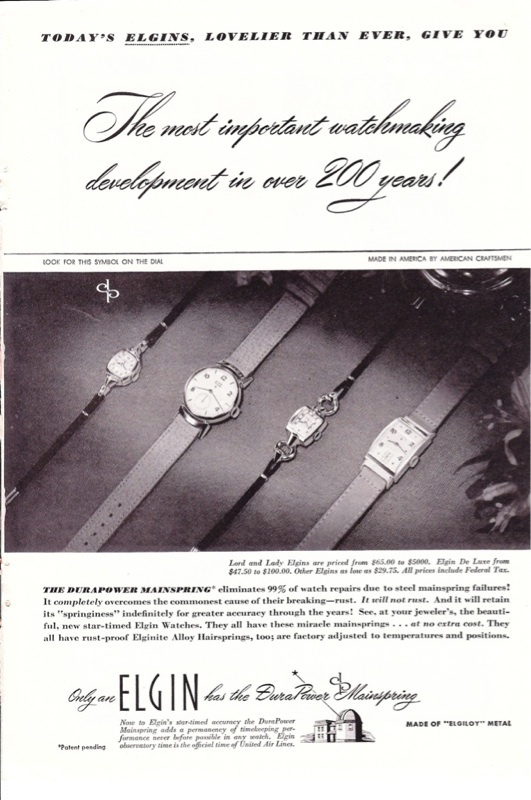 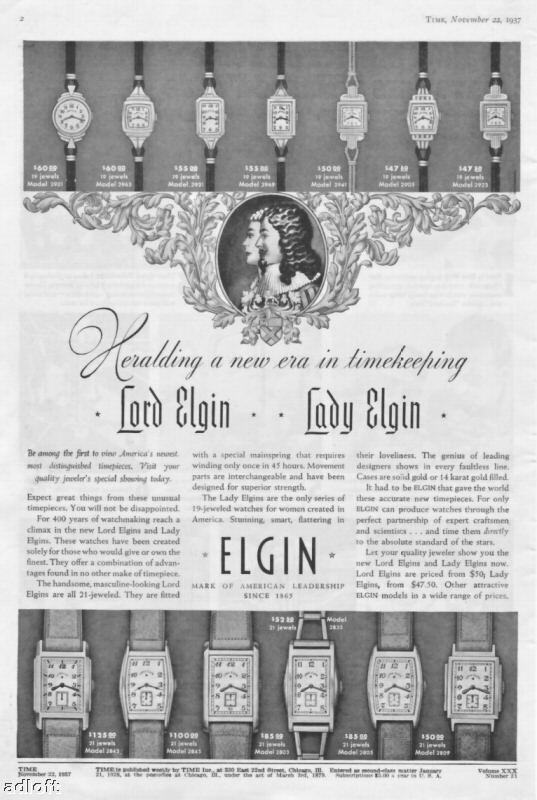 Lord Elgin and Lady Elgin - Heralding a new era in timekeeping. 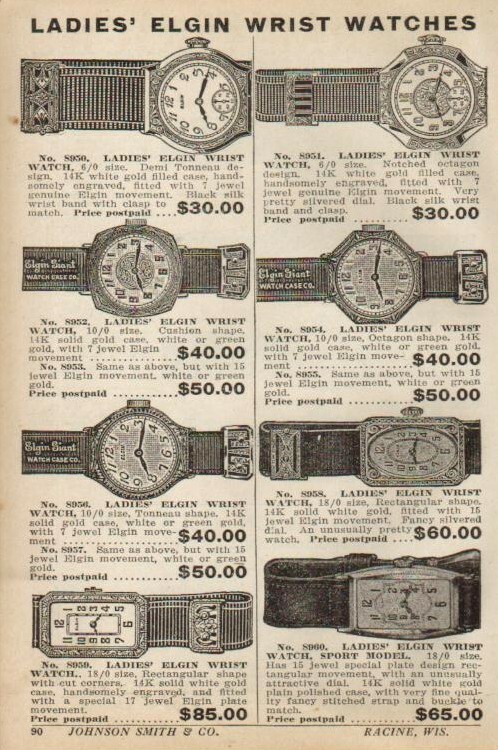 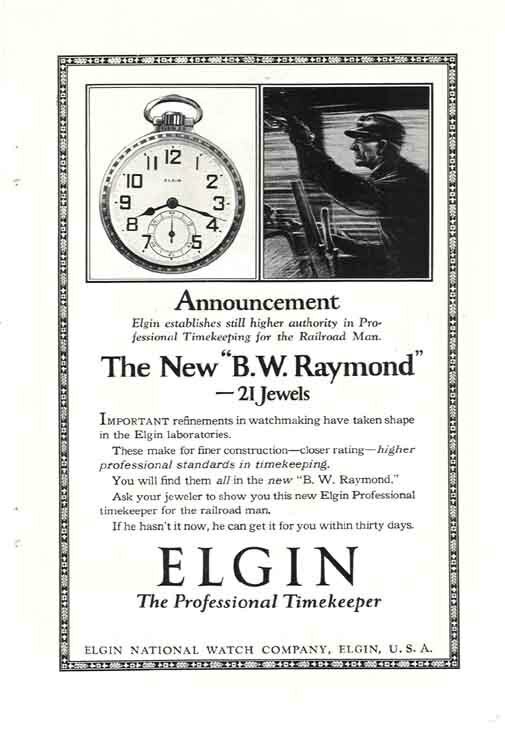 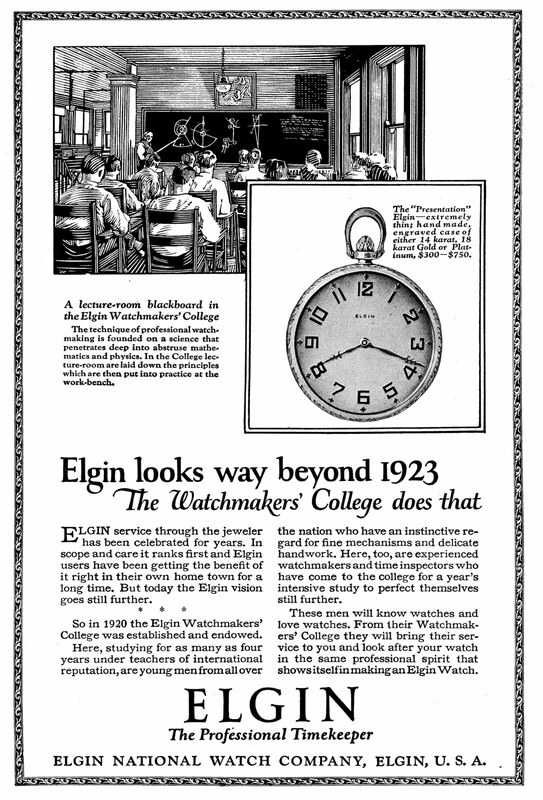 Elgin looks way beyond 1923 - The Watchmakers' College does that.